As part of plans to celebrate Beatrix Potter's anniversary, Taylor Herring worked with Penguin to reimagine the author's famous characters in modern day London. Street artist Marcus Crocker was commissioned to create six figures, which took 140 hours to complete, and then embarked on a journey around London. 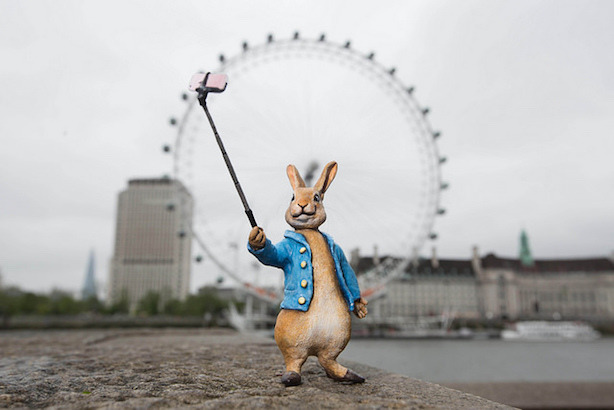 During the day out, Peter Rabbit 'narrated' his adventure on Twitter from the @BeatrixPotter account using the hashtag #littleadventure. Penguin plans to put the figures on display at Waterstones Picadilly beginning in July. Throughout 2016, Penguin will be celebrating Beatrix Potter’s varied accomplishments as a conservationist, botanist, businesswoman, artist and storyteller. Taylor Herring won a competitive pitch to secure work on the Penguin account in February and is part of a wider team that will be running multiple events with the in-house team, licensed partners and charities.